If you are looking for a good hair day, head to Blown and see the difference for yourself as you chill with a glass of wine. 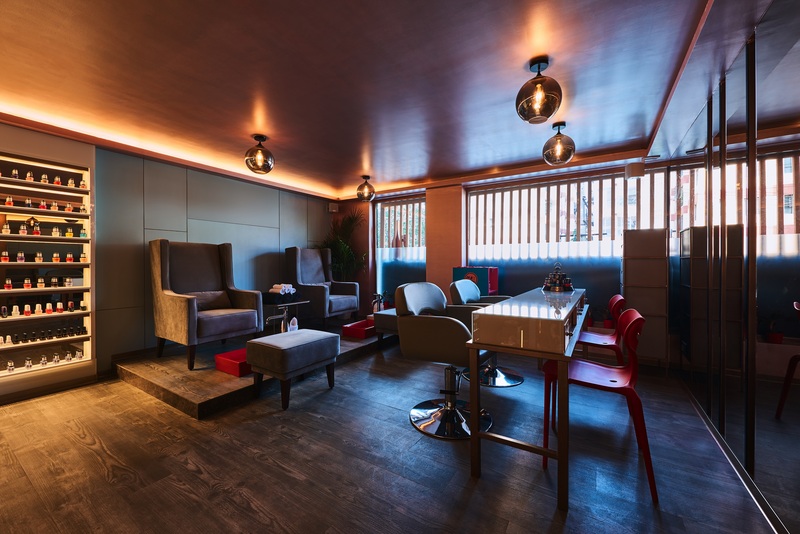 Blown, located in the heart of Bangalore is a salon that caters to the growing need of its denizens for sophisticated hair-care and nail care services. A space of total relaxation combining incomparably delicious wines with luxurious hair treatments, this is where you can pamper yourself. 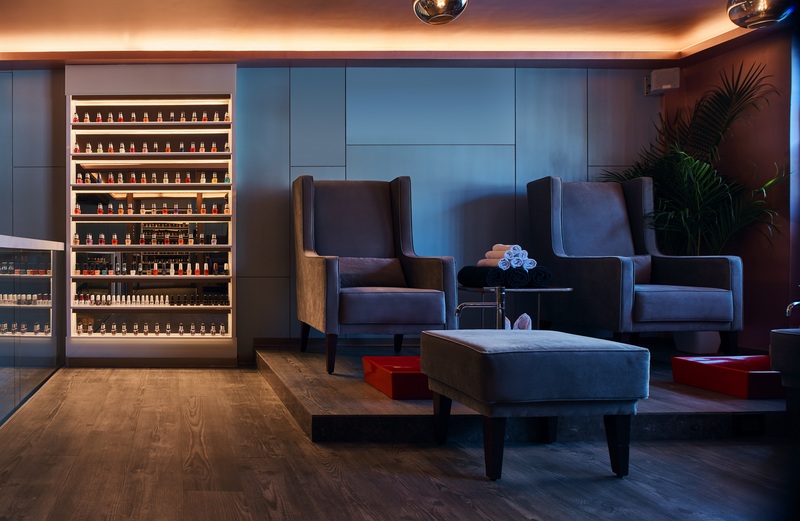 With the vast array of nail, hair and beauty treatments administered by highly trained therapists, Blown focuses on hair care and also offers a popular cysteine treatment. The cysteine smoothening treatment uses the naturally occurring amino acid cysteine to straighten and strengthen your hair. Cysteine is naturally absorbent and has no formaldehyde or any other harmful substances that release fumes under heat pressure. The treatment is semi-permanent and lasts about three months. If you have experimented with styling and chemical treatments and have rough, dry and dull hair, this treatment will helps to strengthen your hair roots, adds shine and protects your hair from further damage. The salon itself is on two levels with a hair station on the ground level and nail section on the next floor. Overlooking a plush locality the décor is contemporary chic with interesting light fixtures that add a touch of zing. I was here on a Sunday morning and my therapist Valinty from Manipur first checked my hair and decided to opt for the quick fix hydration treatment as my hair was quite dry. The treatment started with a hair wash using the Sebastian Hydre shampoo. The wash station itself has comfortable reclining chairs that are quite relaxing. After the shampoo, she applied the Sebastian hydre a deep moisturising treatment that provides hair with deep intensive moisture retention. In fact after the treatment, normal or damaged hair feels conditioned, silky and moisturized for an overall healthy look. After applying the cream, she massaged my head using different strokes with her fingers and hands that sent me into a state of deep relaxation. After this using a warm towel she covered my hair and allowed the benefits to skin in. This was repeated six times and after this my hair was given a nice wash with warm water. After this she applied hair serum and then blow dried my hair and again applied a serum. As a finishing touch, the Sebastian Shine Shaker a lightweight shine spray was sprayed all over my hair to lock in the shine and give the hair a complete makeover. Post the treatment my hair felt soft, shiny and most importantly frizz free. While I was here I also decided to pamper my rather tired feet by trying out the pedicure. Starting with a nail cut my therapist Lun from Manipur said he would cut them in a round shape. After that my nails were filed neatly and buffed to look nice and round. He then applied a cream around my cuticles to soften them and then allowed my feet to soak in warm soap water for about five minutes. Then he dried my feet and applied cuticle oil and using a cuticle remover scrapped off all the extra skin from my nails. After this the extra cuticles were carefully cut using a cuticle cutter and the hard skiing was trimmed using a trimmer. My cuticles were buffed again giving them a renewed shine and again soaked in water. After thism Lun used a metal scrapper to remove the dead skin from the back of my feet. After this a strawberry scrub was applied all over my feet and legs and a massage is given to smoothen the skin and soaked in warm water again. Using a small brush and soap my nails were then scrubbed and washed in warm water and patted dry. Using a side cutter he then removed all the dead skin around my cuticles explaining that any in growth of nails can also be removed using the same. Using a soft scrapper the back of the foot was scrapped again to ensure the feet is soft and smooth. After this he applied a cream and massaged my feet and legs that felt really relaxing. Wiping my feet dry with a towel, he asked me to select a nail paint of my choice. Applying a base coat, two coats of the nail paint and a top coat, ensured that my feet were finally were both refreshed and relaxed. And yes looked nice too. Now this was a salon outing that gave me the time with myself that was long overdue. Now it’s your turn. Timings: 10:00 a.m. to 10:00 p.m.